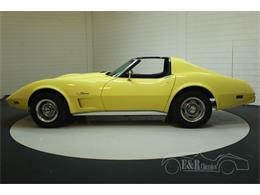 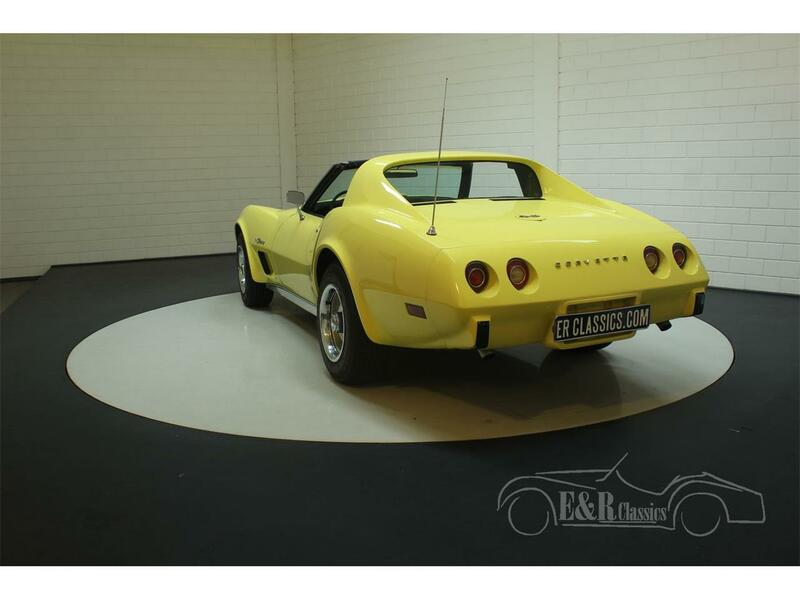 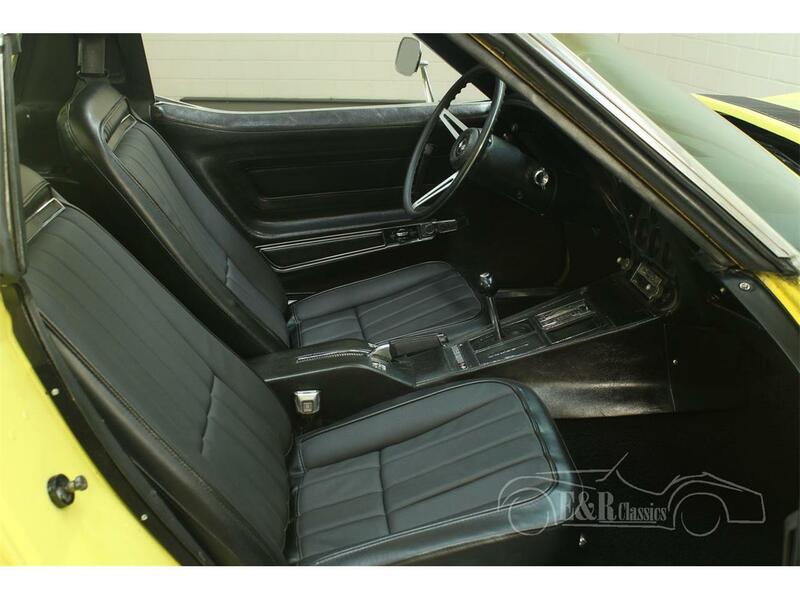 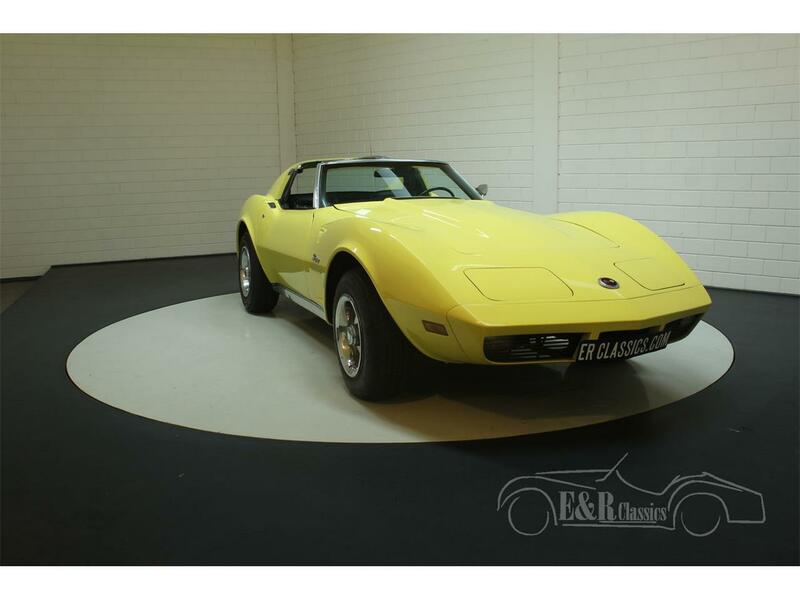 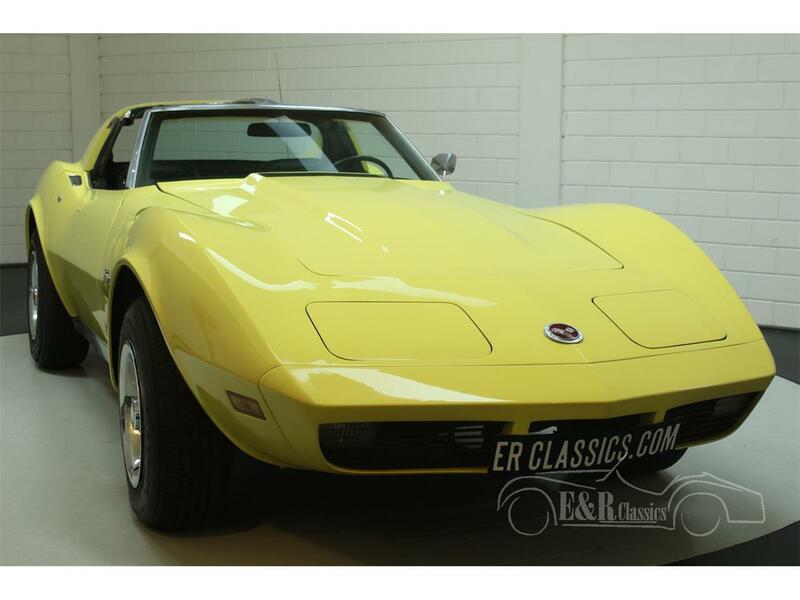 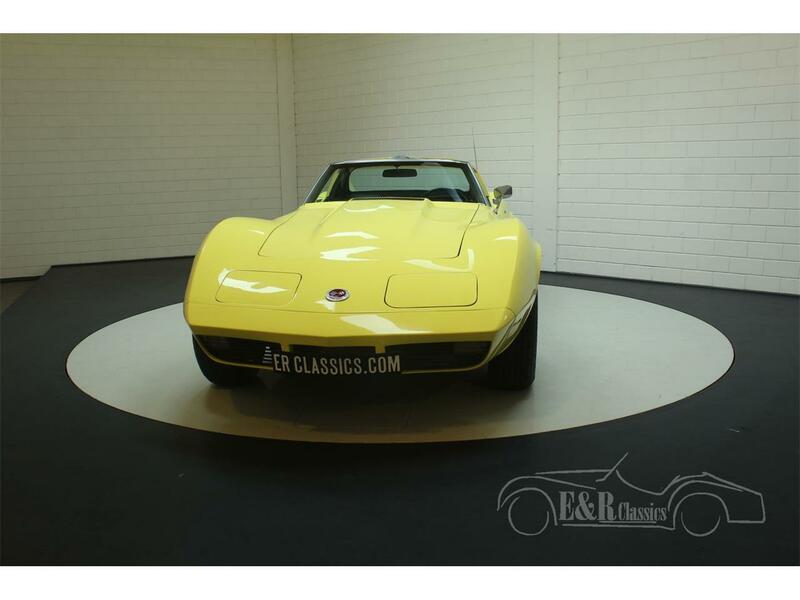 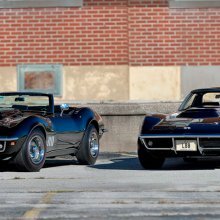 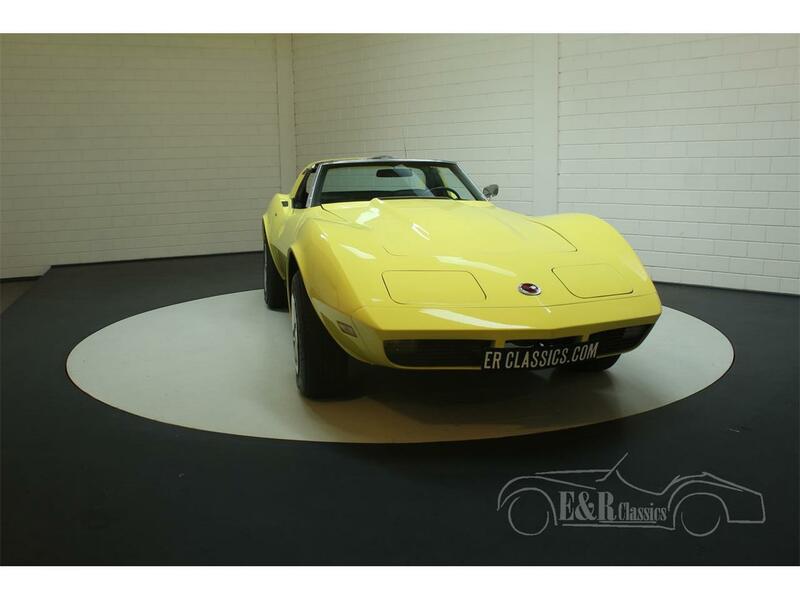 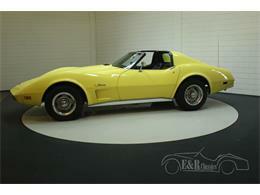 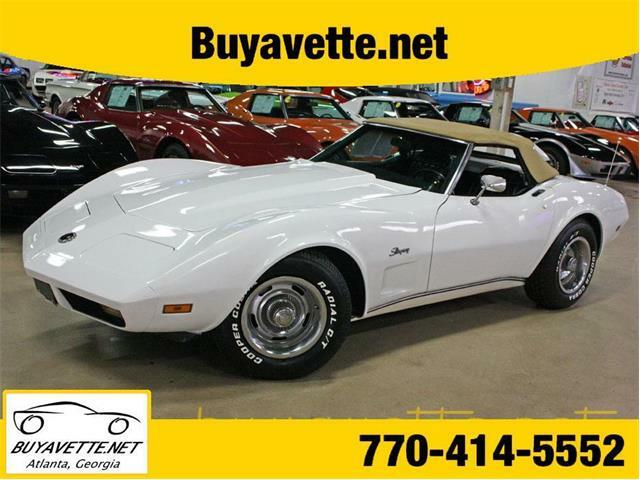 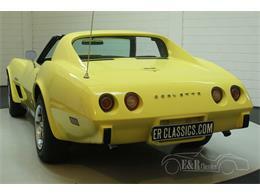 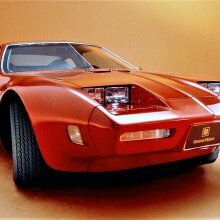 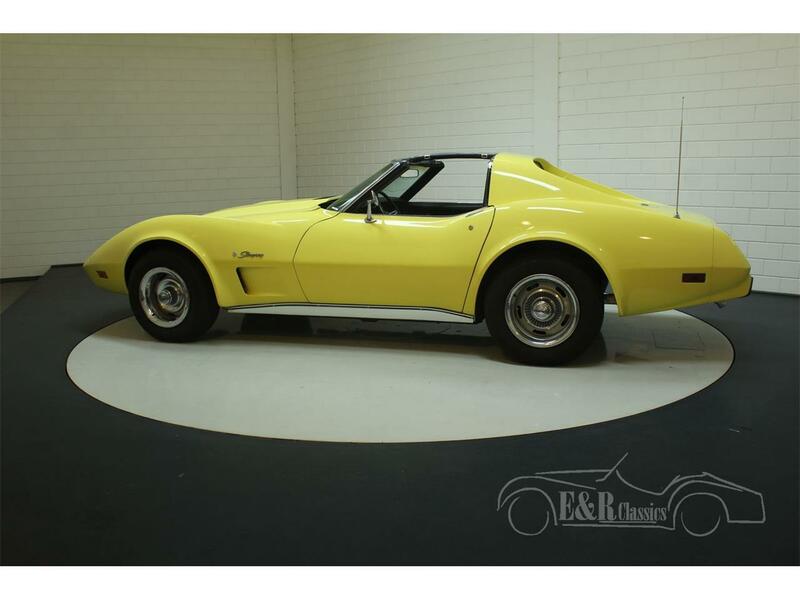 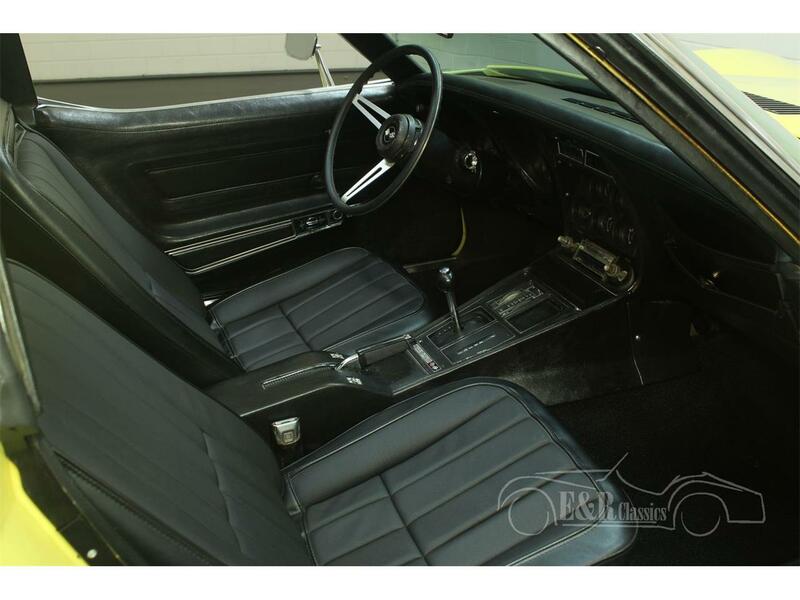 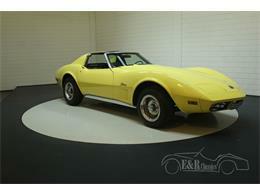 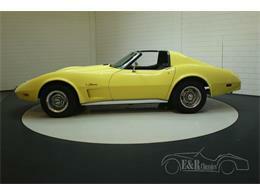 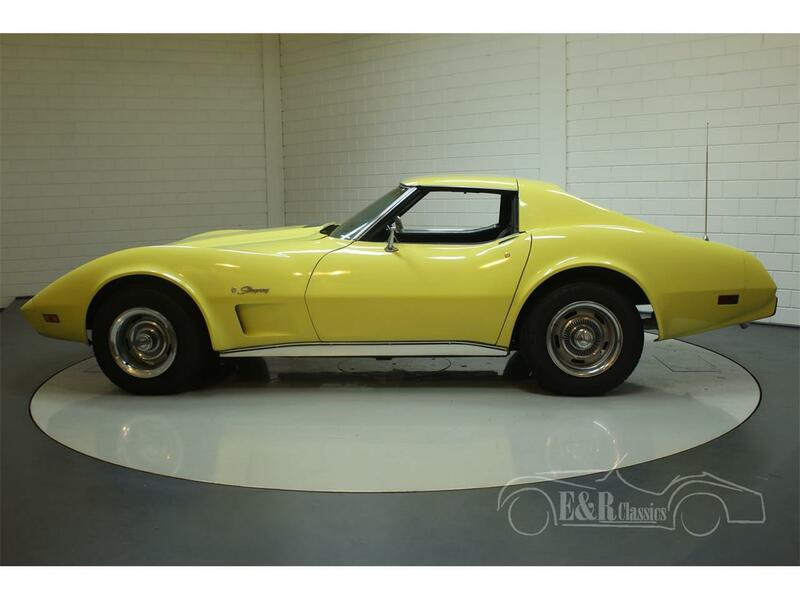 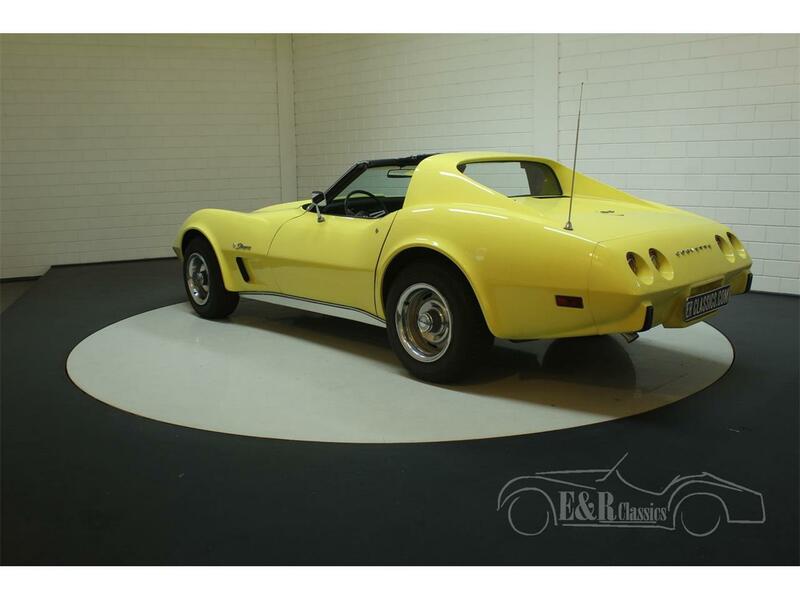 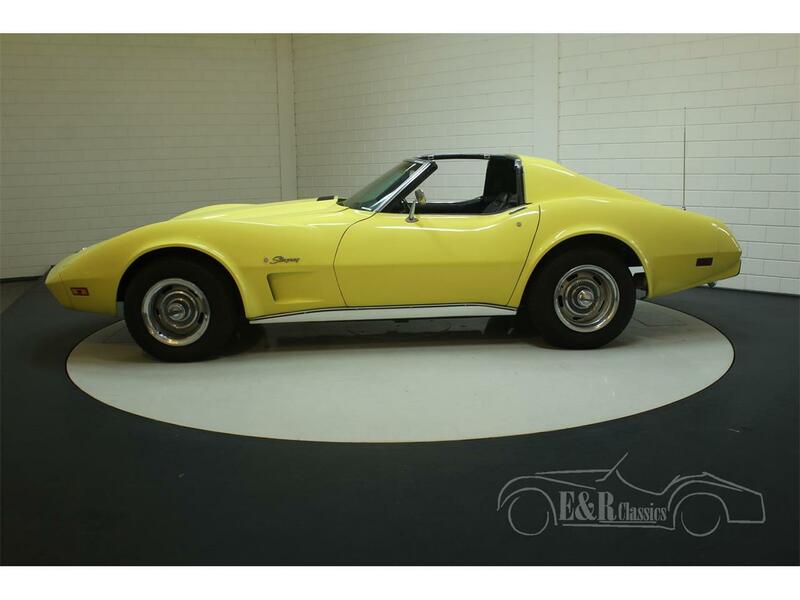 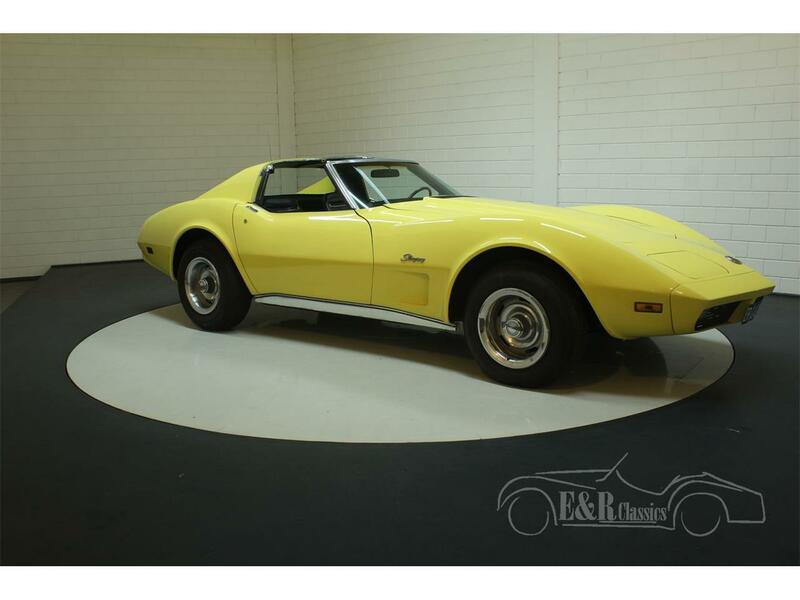 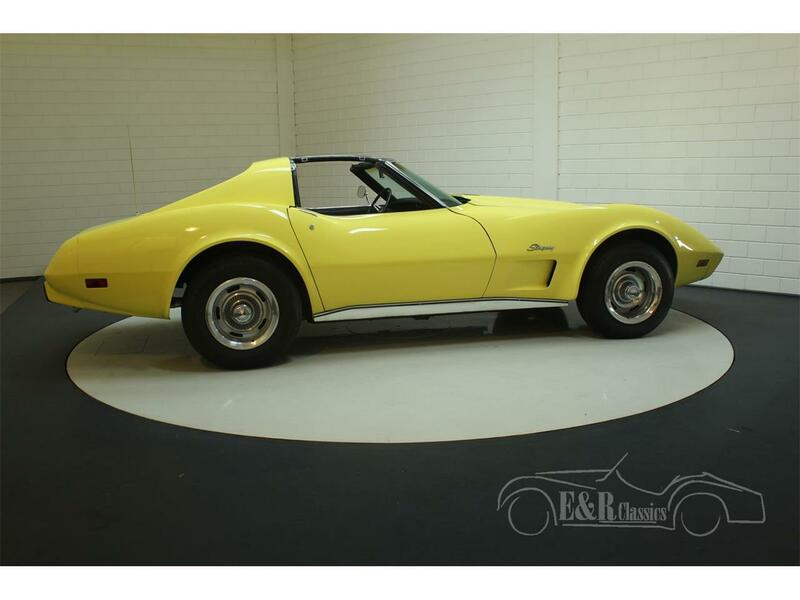 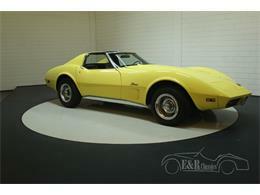 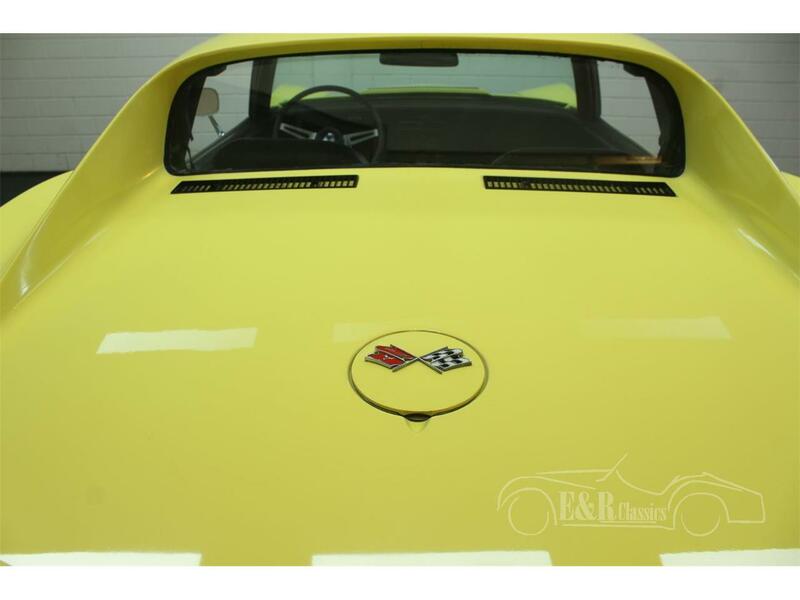 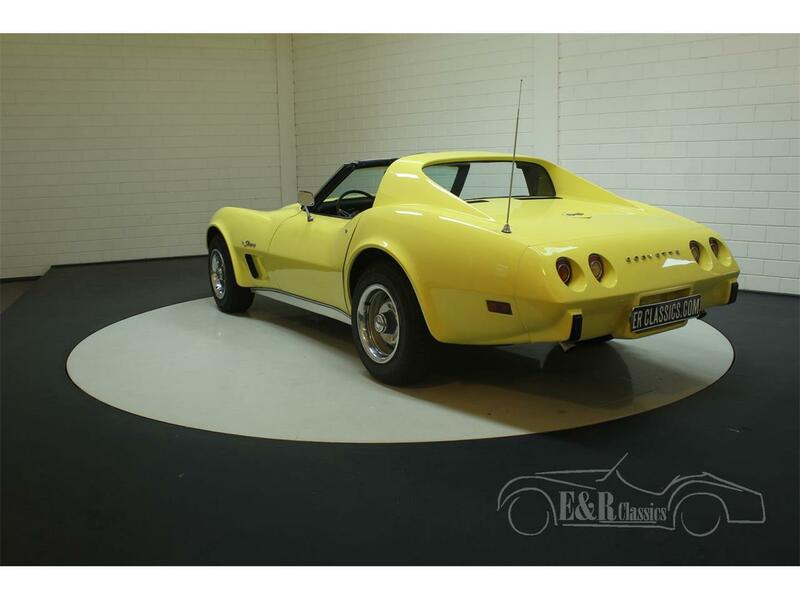 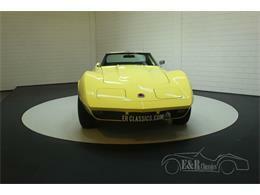 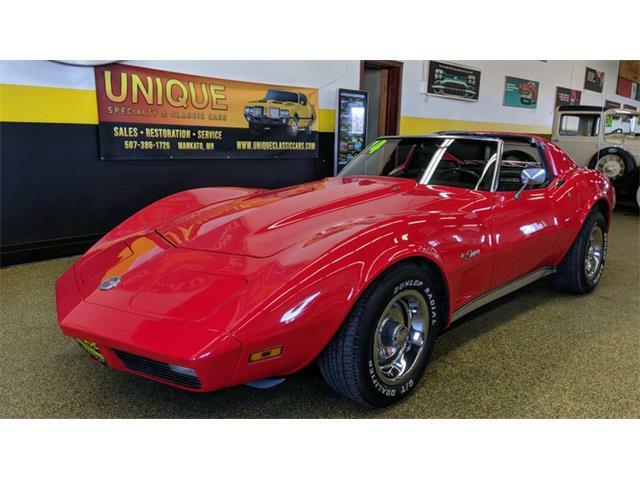 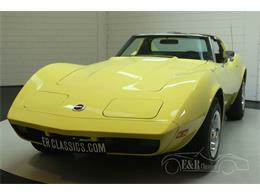 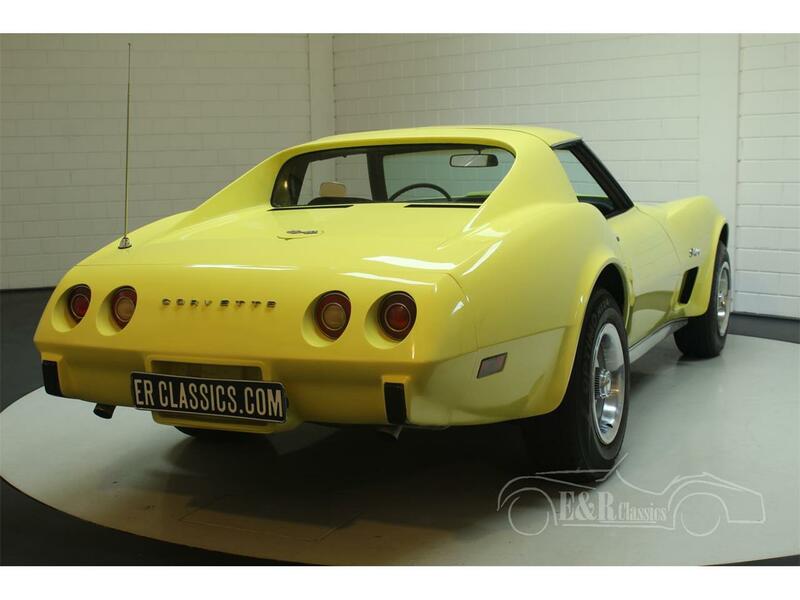 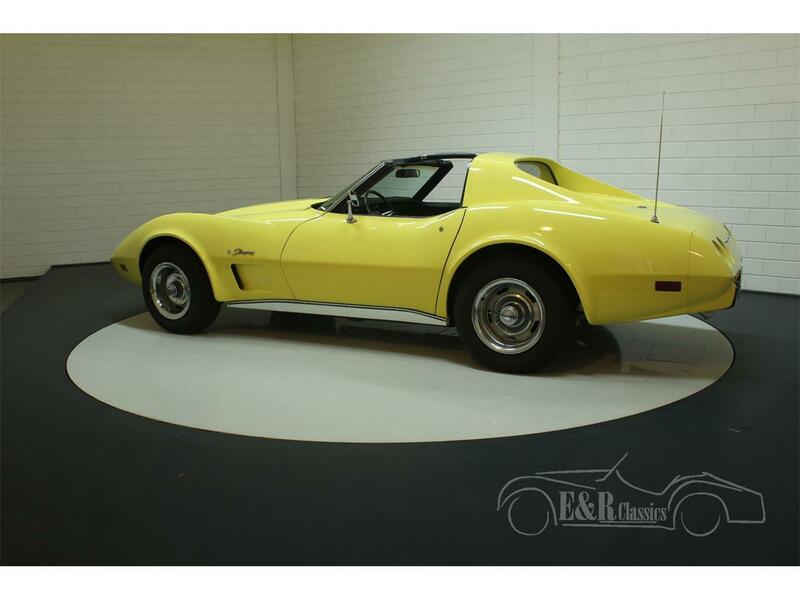 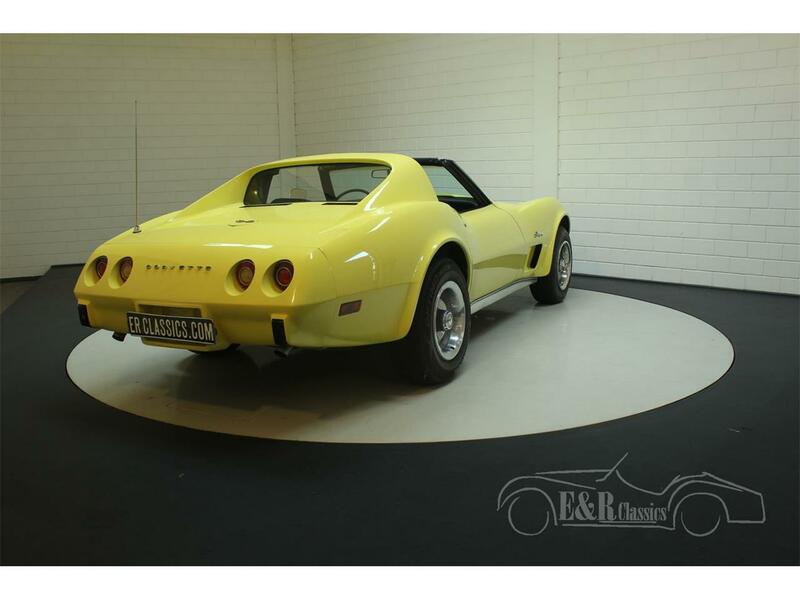 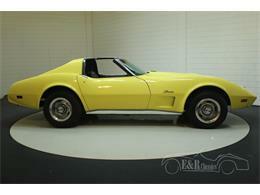 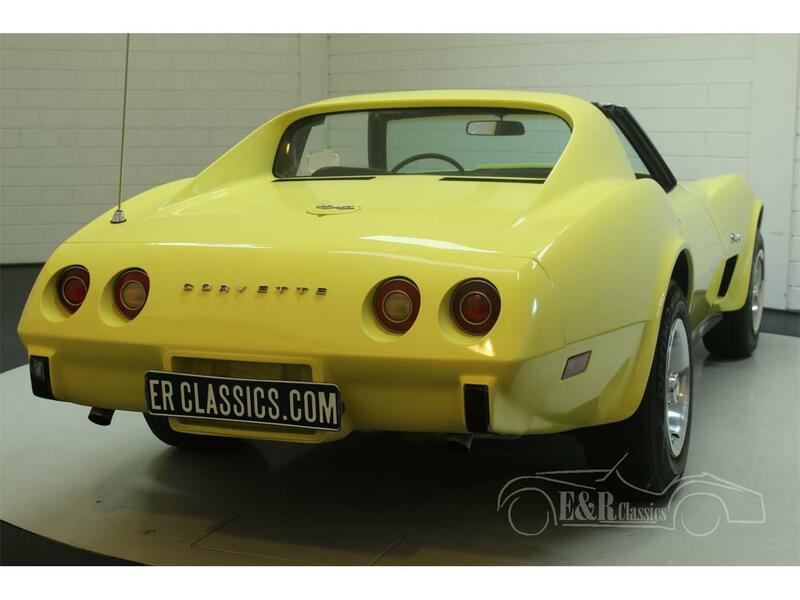 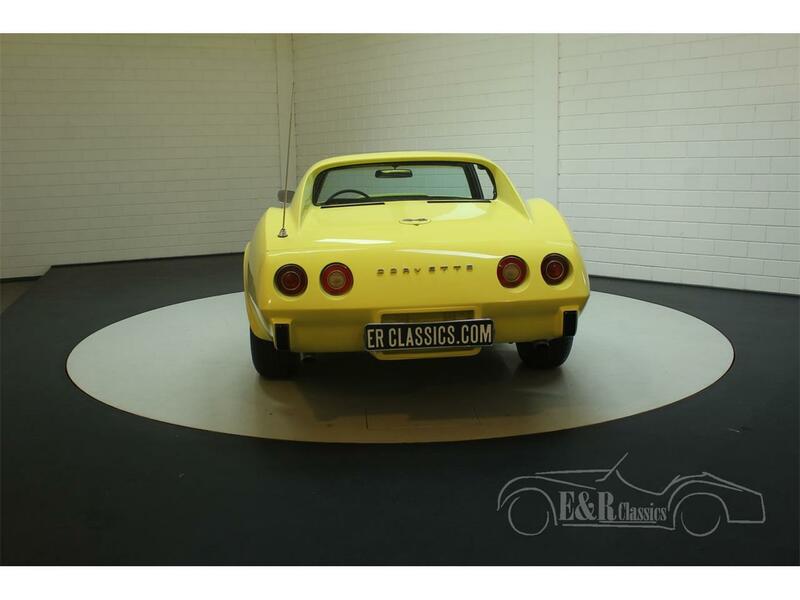 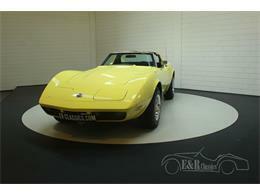 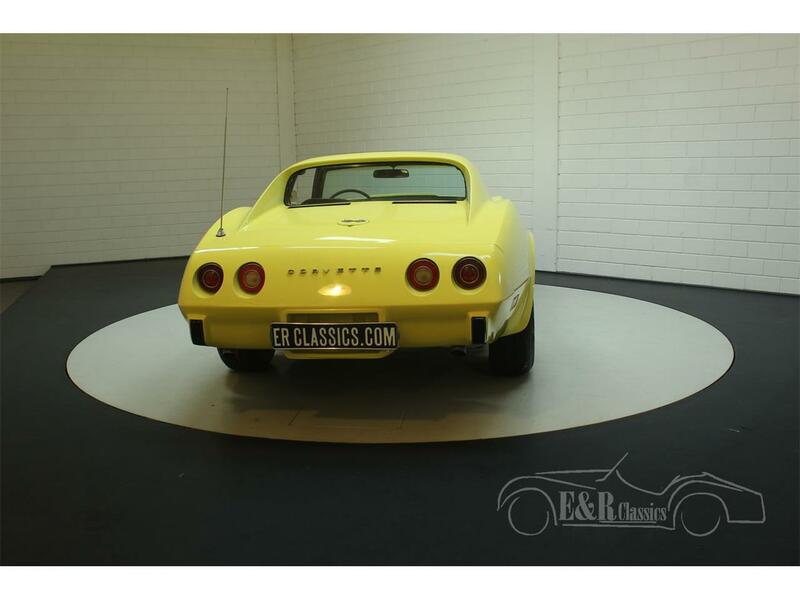 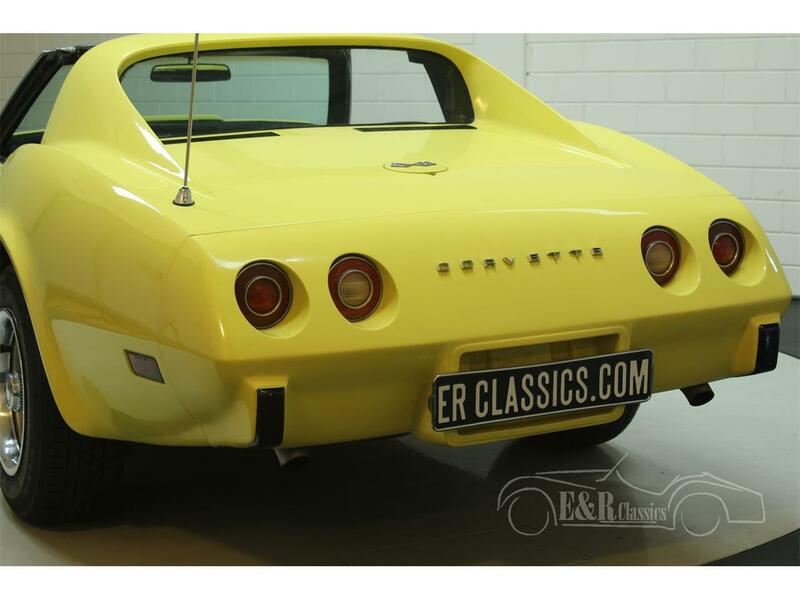 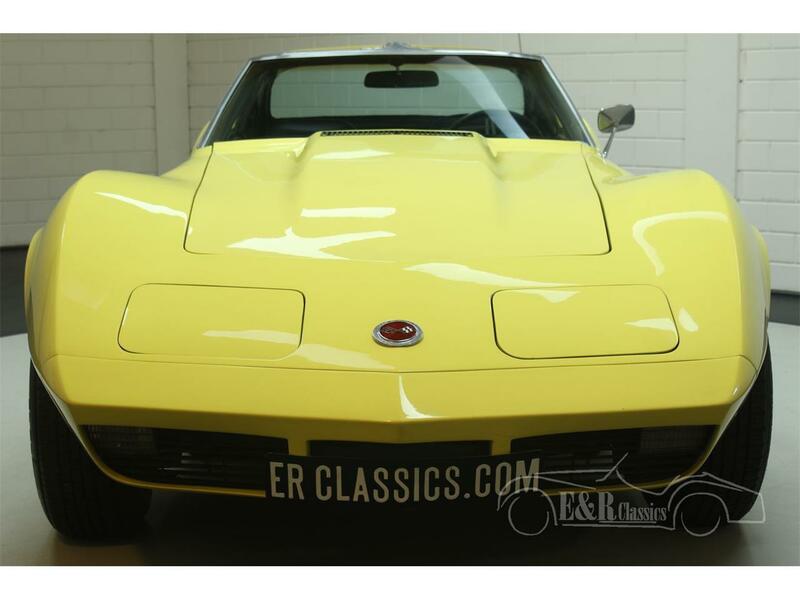 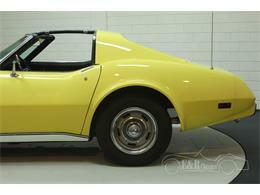 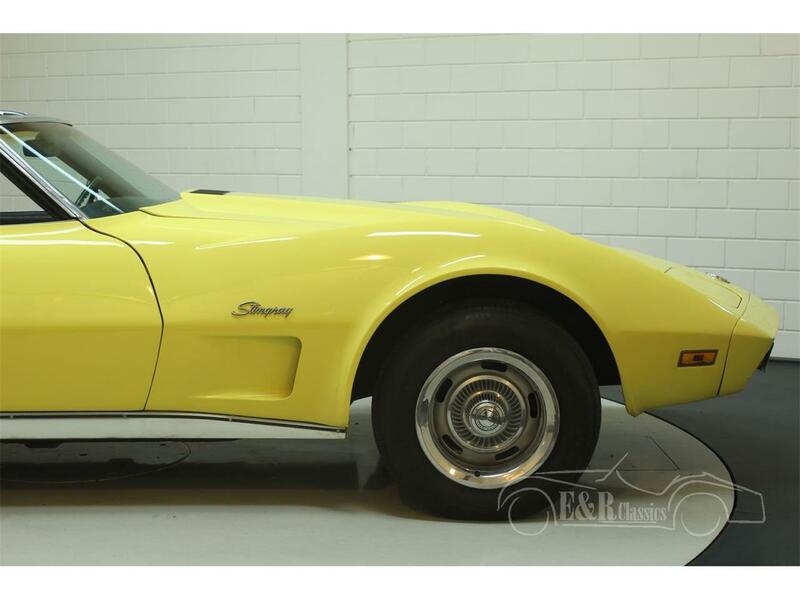 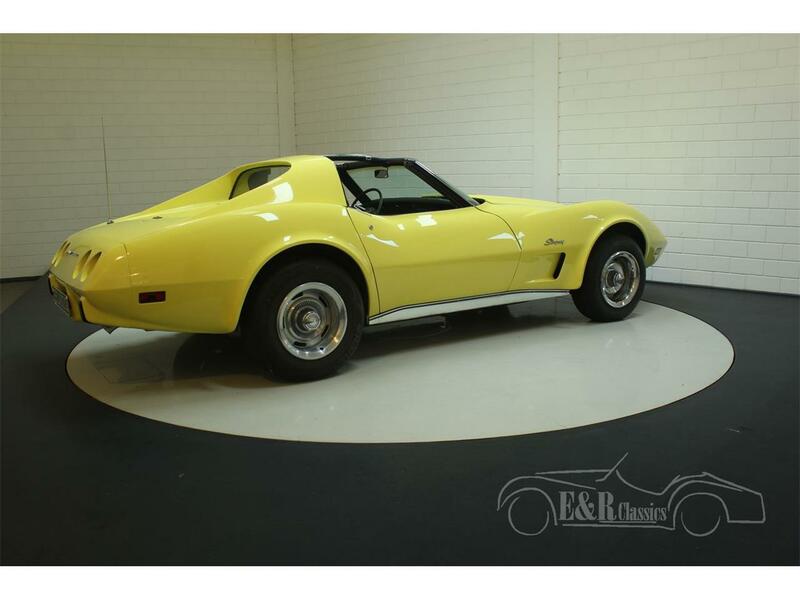 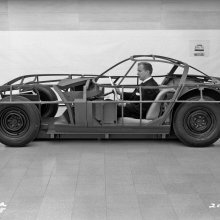 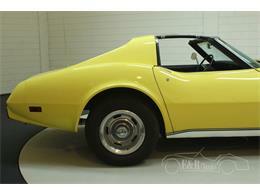 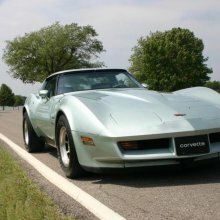 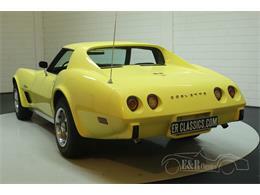 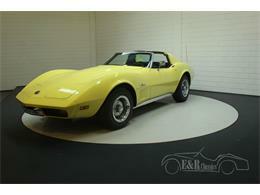 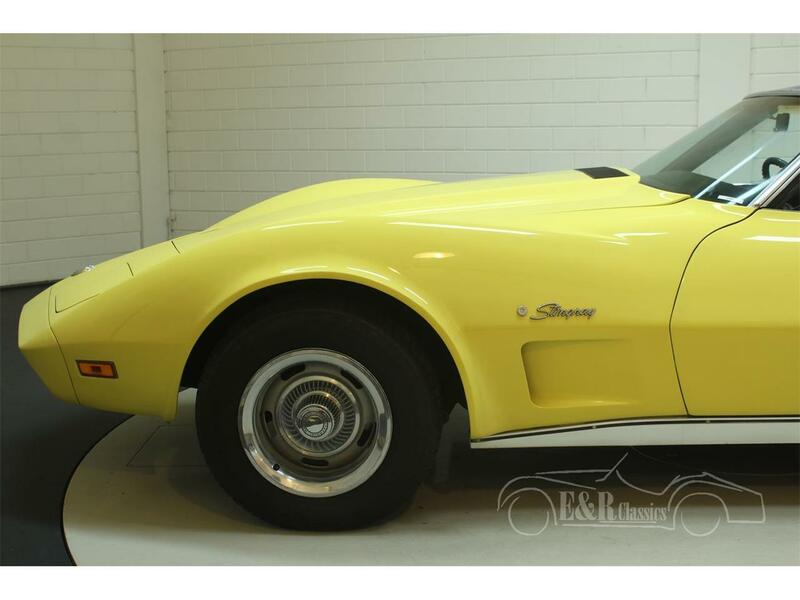 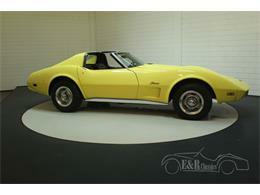 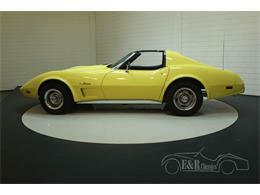 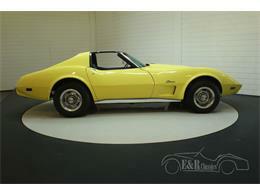 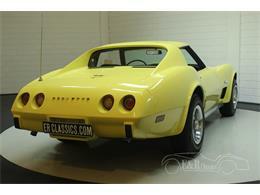 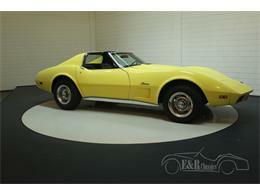 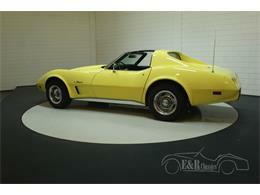 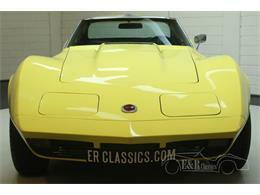 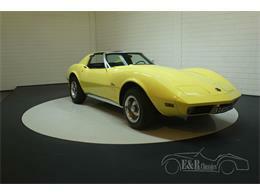 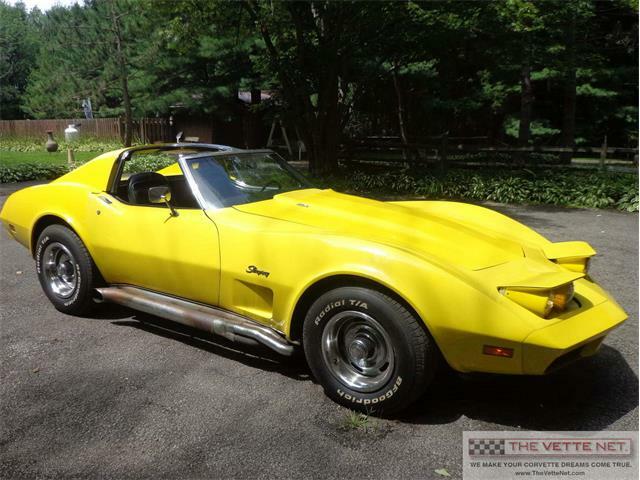 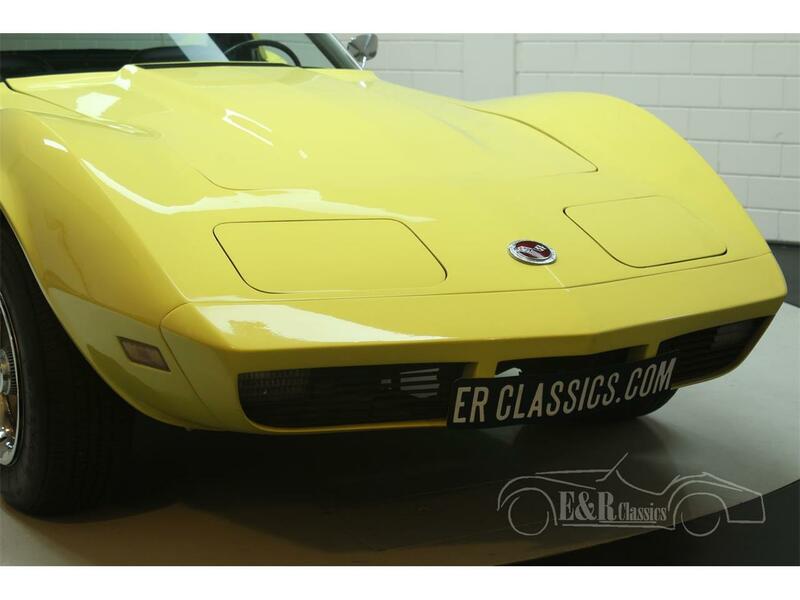 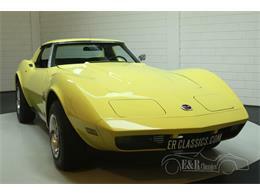 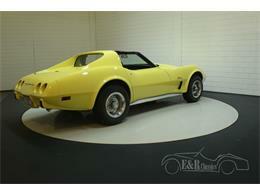 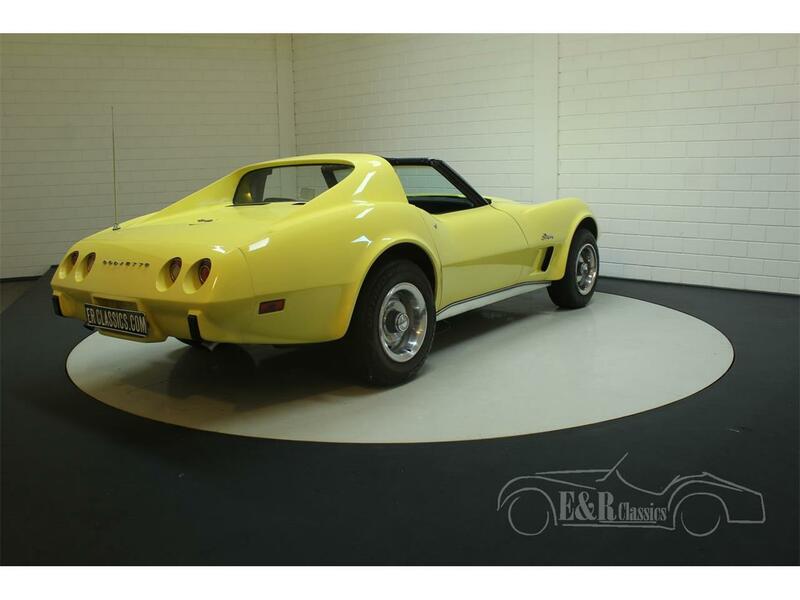 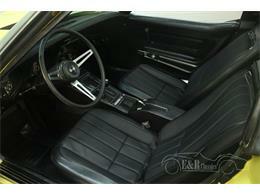 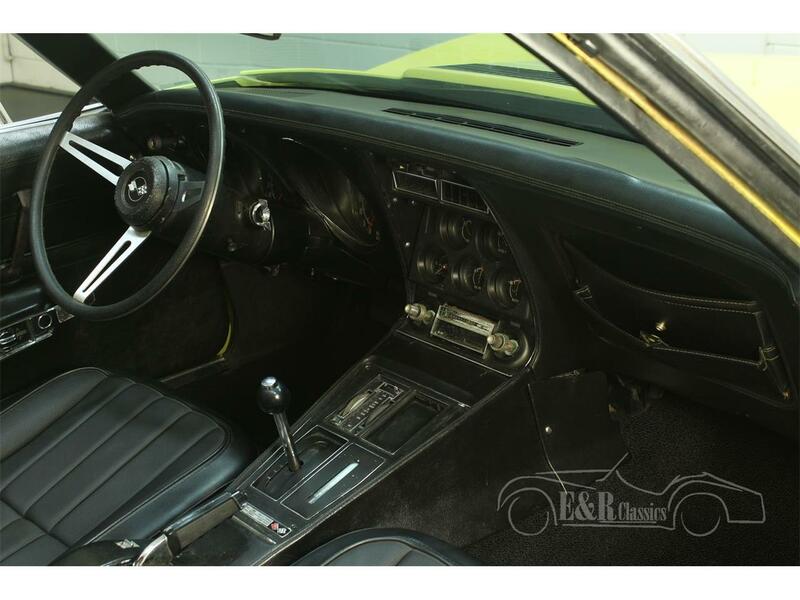 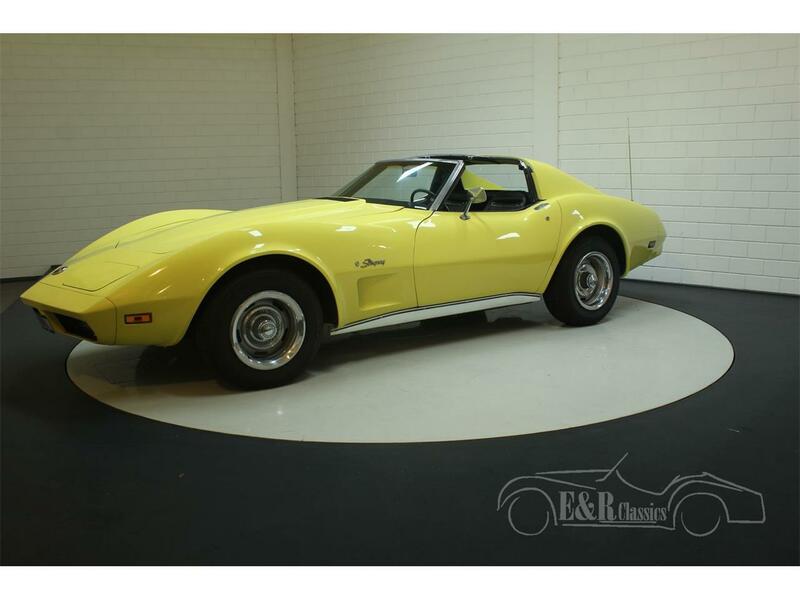 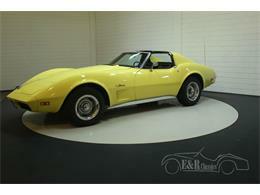 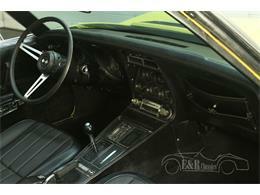 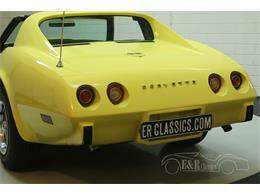 1974 Chevrolet Corvette C3 Stingray in the Targa version. 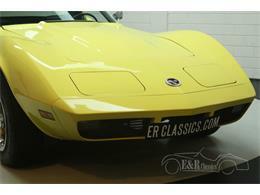 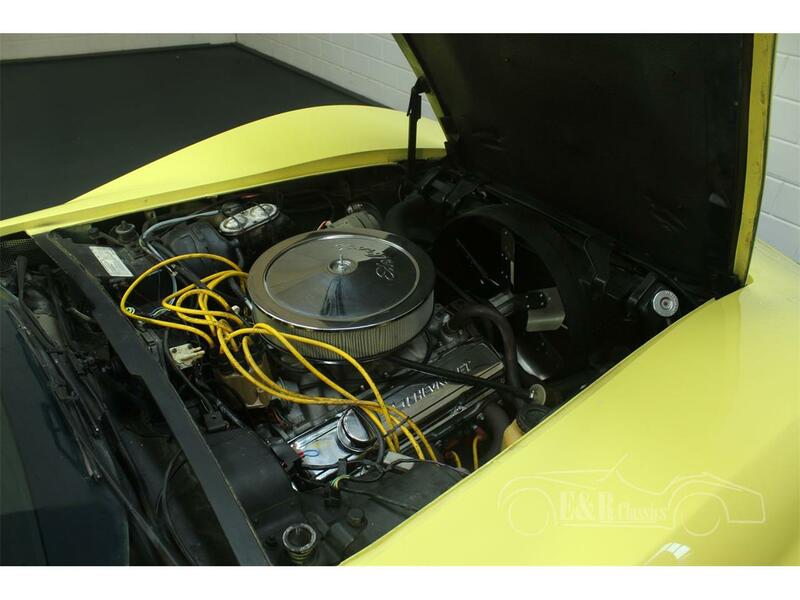 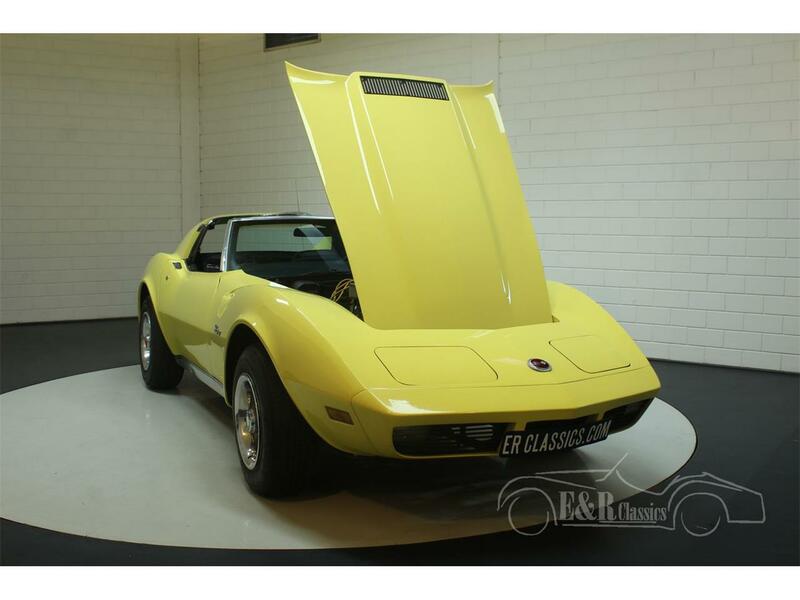 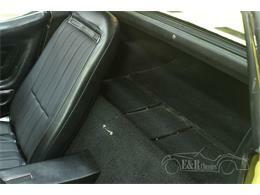 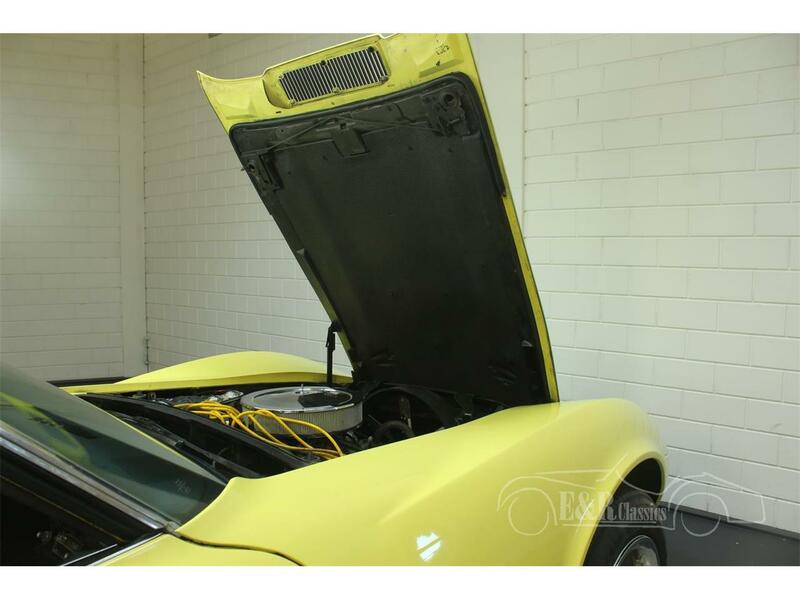 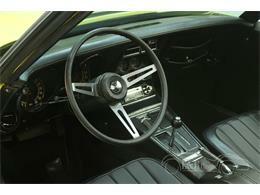 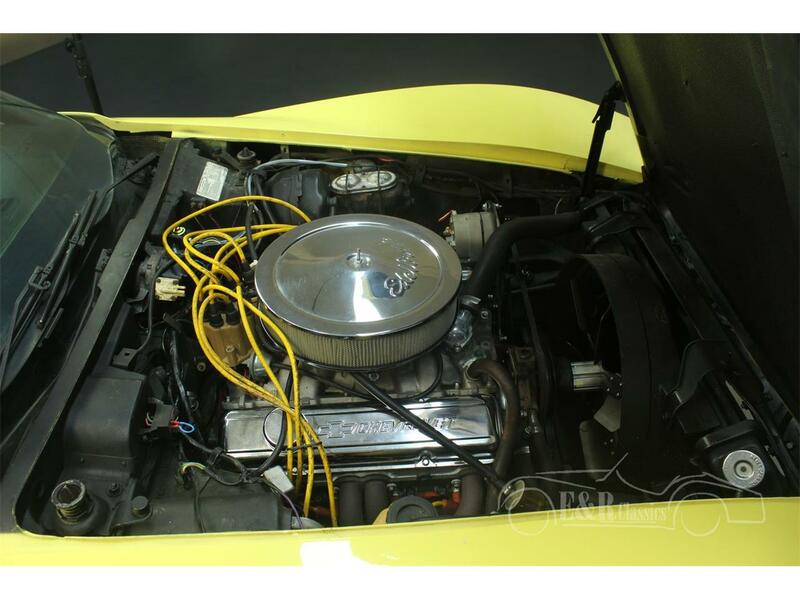 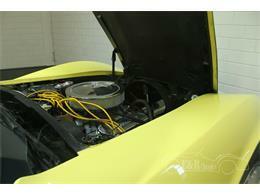 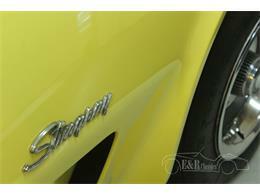 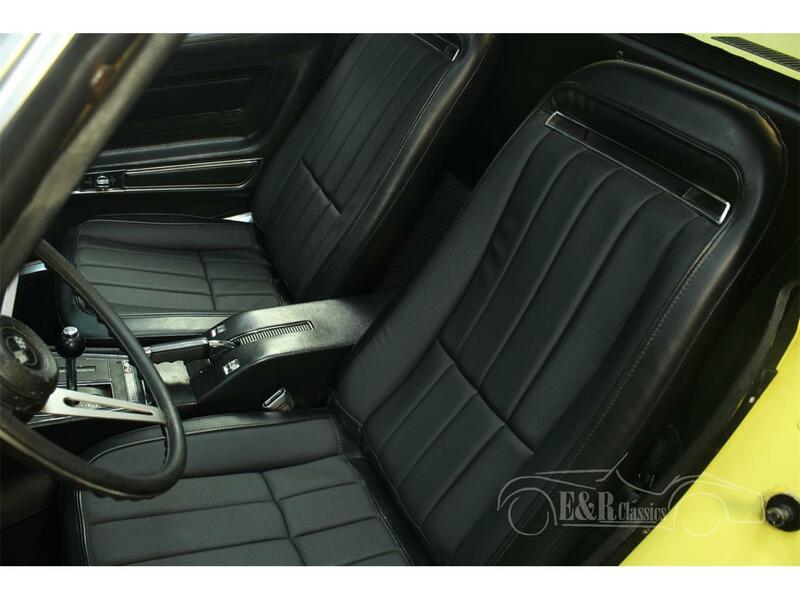 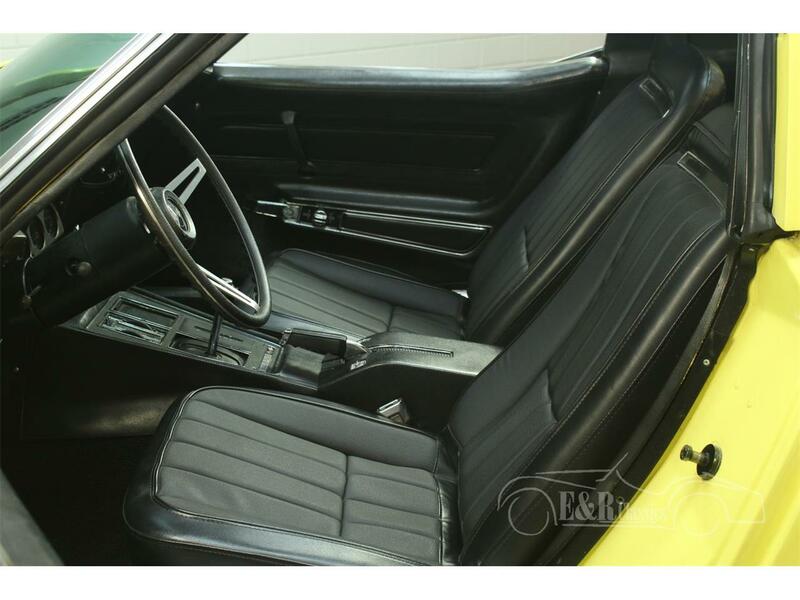 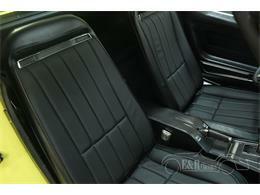 This car is in a very nice condition and is executed in the original colour combination! 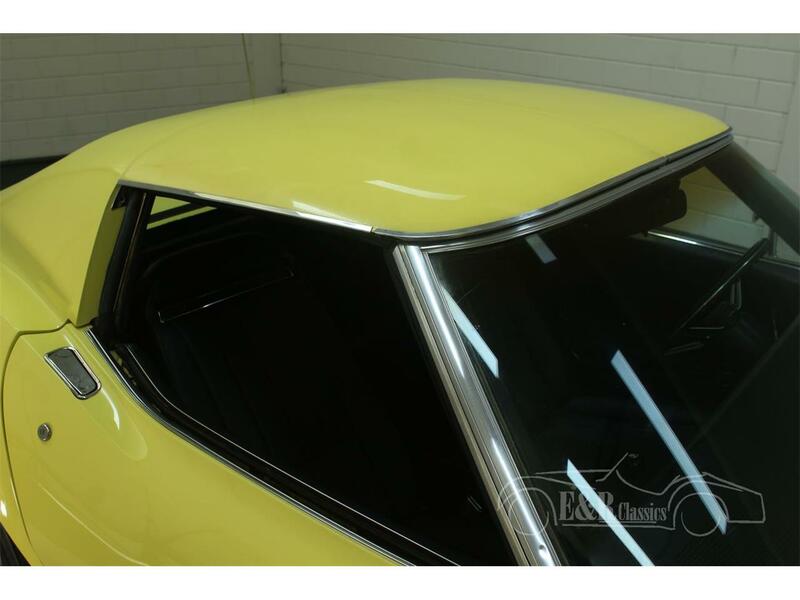 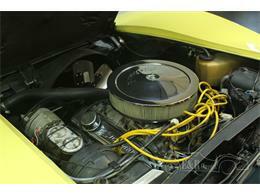 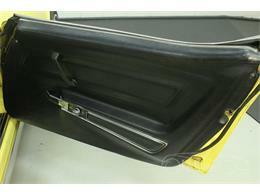 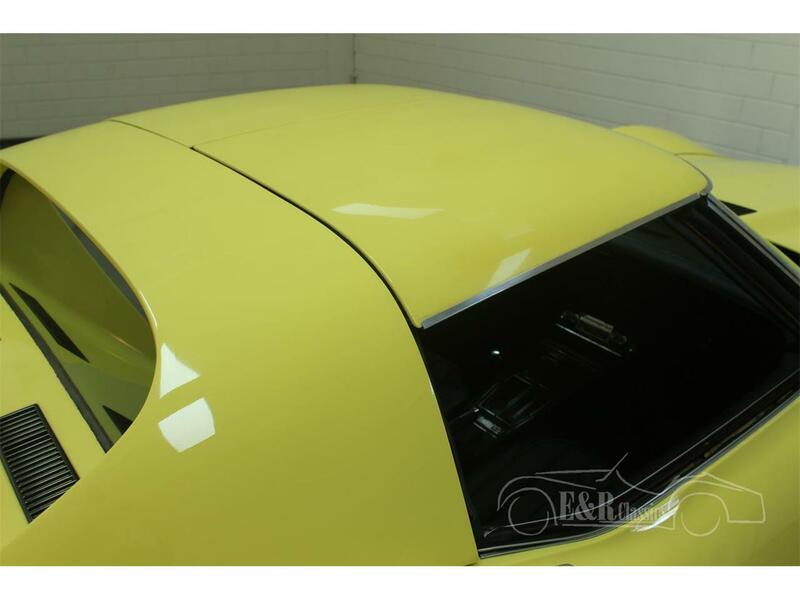 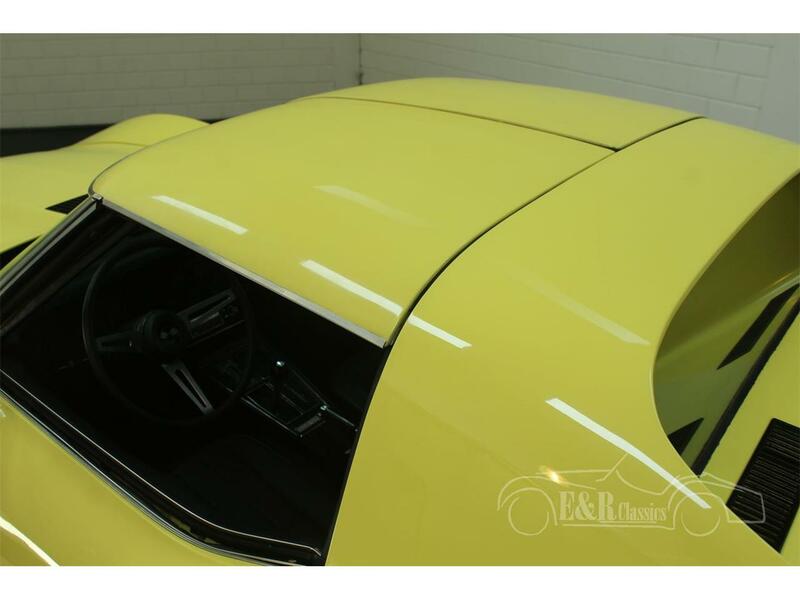 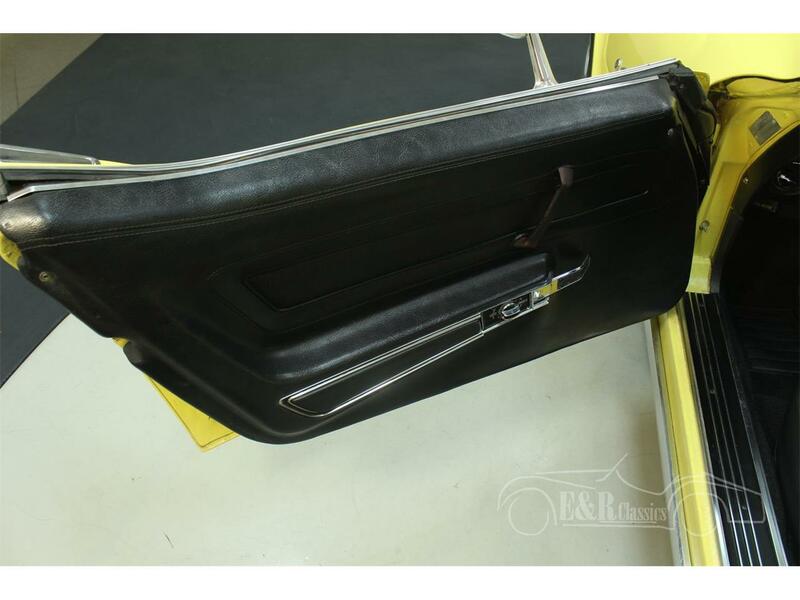 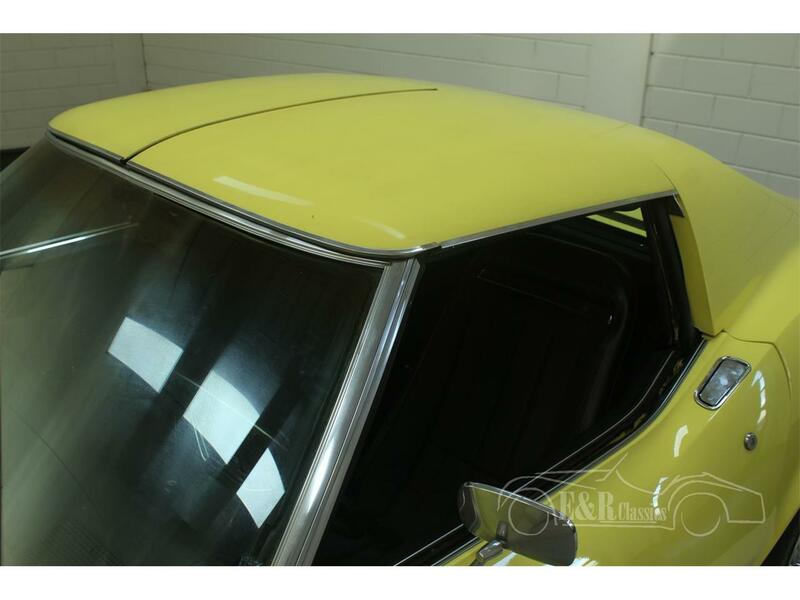 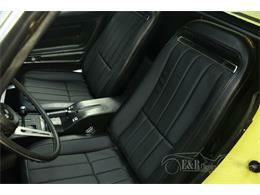 Namely Bright Yellow (56) combined with a black vinyl (400) interior. 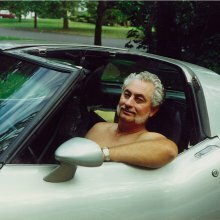 Furthermore, the car has Rally wheels, a brake booster and electric windows. 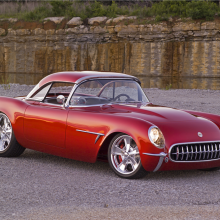 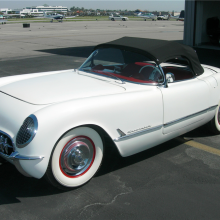 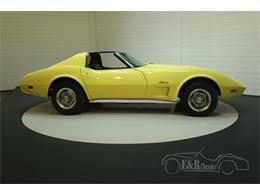 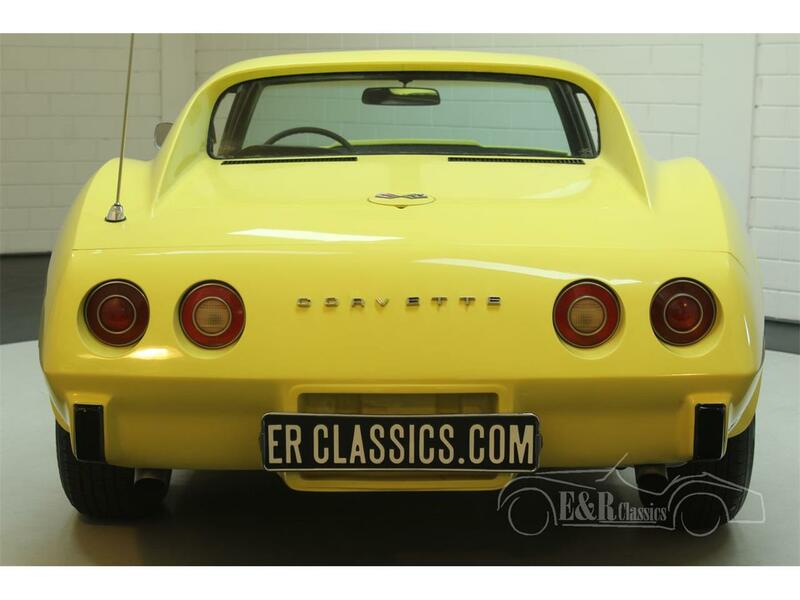 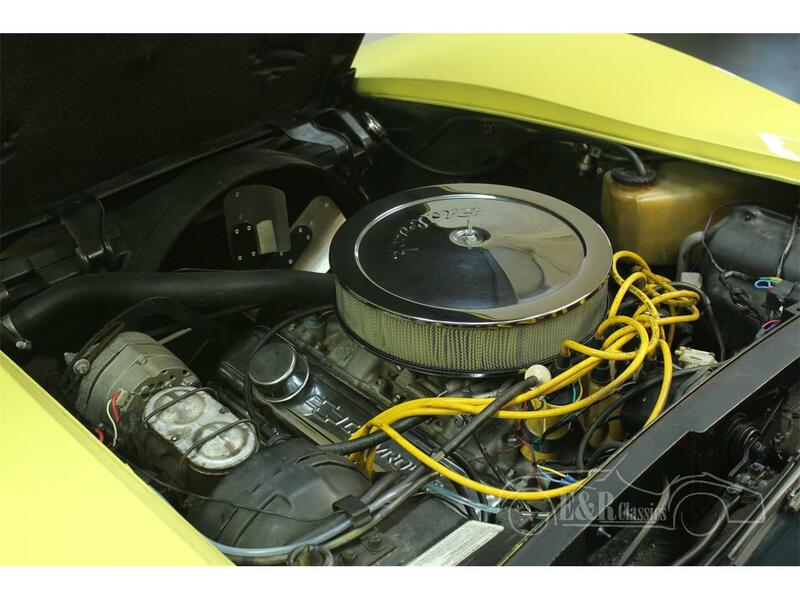 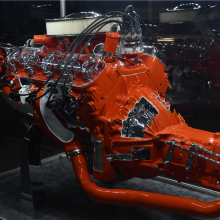 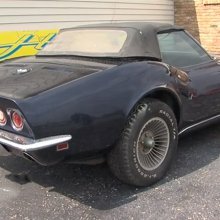 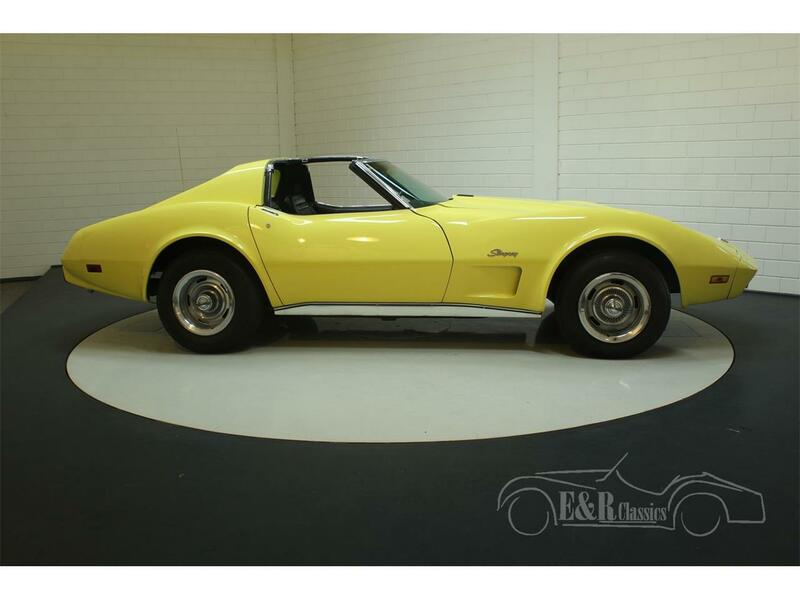 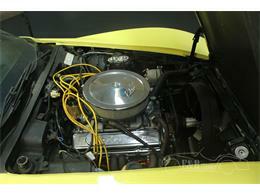 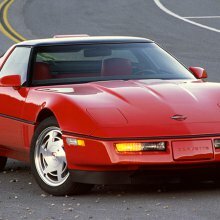 What makes this Corvette a real muscle car is the 5735CC (350CUI) V8 engine in combination with the automatic gearbox. And through a double exhaust system the car also makes a delicious V8 sound!